Third verse, same as the first … and second, if you were to ask the Gambling Gods. 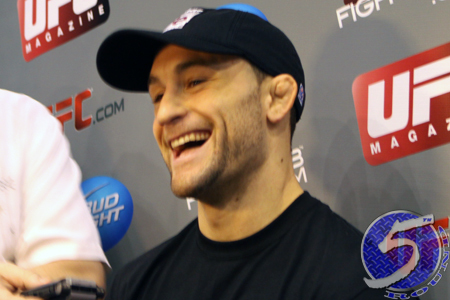 According to the powers that be, Frankie Edgar (pictured) will beat BJ Penn for a third time when they collide at “The Ultimate Fighter 19 Finale” this Sunday. Yes, let’s not let “UFC 175: Weidman vs. Machida” completely overshadow the octagon’s second show this weekend. Edgar is a heavy 6.5-1 odds-on favorite against “The Prodigy.” Penn, meanwhile, comes out of retirement as more than a 4-1 underdog. Edgar holds two unanimous decision victories over Penn. Mandalay Bay in Las Vegas, Nevada hosts the festivities.